M&G supply the specialised parts for top-of-the-range gas fireplaces to leading manufacturers in the European market. These modern gas fireplaces include a great diversity of types, sizes and models and M&G has found the solution to aid instalment and ventilation with their advanced technology and know-how. These contemporary fire places and log burners have the cosiness of a real fire, but are more convenient and hassle-free as they only use gas. One can get a realistic log fire experience with warmth and ambiance with the switch of a button. The gas is a clean fuel and by using modern technology it is also regenerative, which therefore makes it environmentally friendly. 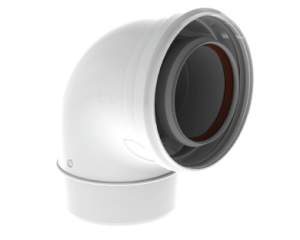 M&G deliver the necessary balanced flue pipe work in high quality stainless steel to make the ventilation durable, safe and extra secure. They only produce well-thought products that exact the clients’ needs. The tight connections guarantee superb performance. There are three leading systems available in the range. The Concentric A stainless steel system, Coaxline INOX and Coaxline INOX insulated. These are available in two sizes 100–150 and 130-200. M&G ensure that these appliances remain safe and reliable with the correct ventilation. They are experts in safety combustion processes, oxygen supply and smoke-gas outlet. 100% of the combustion air used by the fireplace comes from outside the home through a coaxial pipe. 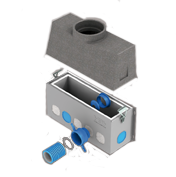 A smaller pipe inside the larger pipe exhausts all combustible gasses, maintaining high indoor air quality. 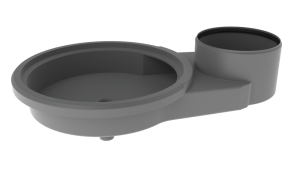 The vent can be run horizontally through an outside wall, or vertically through the roof, depending on your preference. All parts conform to the required European standards. The M&G in-house state-of-the-art laboratory ensures that every product can be tested to receive the relevant certification needed. Not only that, but M&G ensure all tested materials exceed the standard required for certification, as they aspire to be better than the norm. As a trusted supplier to well-known manufacturers throughout Europe, M&G has the experience and know-how to deliver the best materials and the perfect systems to the gas fireplace industry.